Create a stylish and fun entertaining and dining room with this elegant contemporary five piece counter height dining set. The table features a birch veneer table top with a matte finished rich black frame. 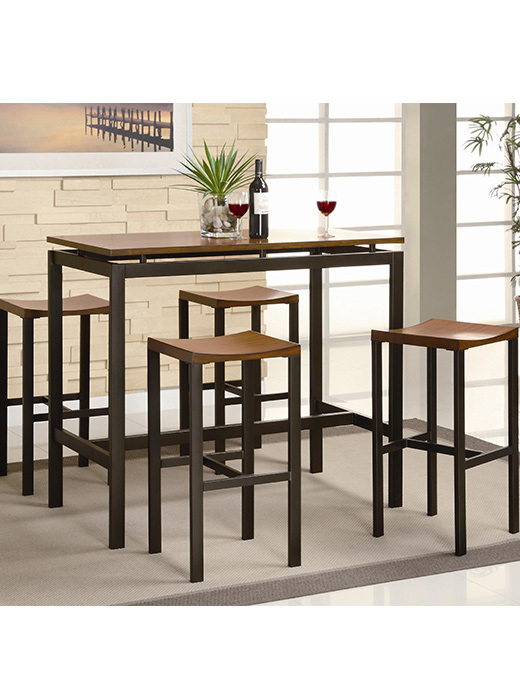 Matching backless bar stools create a sleek look that you are sure to love. Create a stylish and fun entertaining and dining room with this elegant contemporary five piece counter height dining set. The table features a birch veneer table top with a matte finished rich black frame. 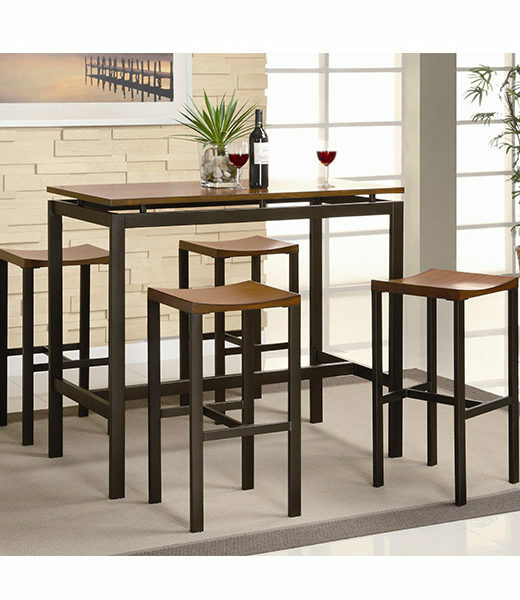 Matching backless bar stools create a sleek look that you are sure to love. There will be plenty to get excited about when you add this contemporary counter height dining set to your home.